If you want to know how to achieve better rankings and boost your SEO efforts, then this article is for you. With all the algorithm changes it feels like SEO is getting harder and harder. Google has unleashed the zoo and many people are still lost. Despite of this what still matters are the basics. If you can find still find low competition, high converting keywords and create high quality authoritative content around those keywords you are way ahead. Here are ten tips to boost your SEO efforts. How much the visitors of your site interact with it is one of the major things that the search engines are keeping a close eye on. If someone is interacting with your site it says that the content on the site is valuable to the person who is visiting the site. If a visitor can find the information that they need on your site easily, then the amount of interaction on your site should increase. Is the visitor taking the time to go through the site and find what they need? Are they just coming to the site and finding junk and then backing out? High interaction on the site gives it more authority and any amount of authority is good. It's suggested that a site updated regularly is what Google and other search engines are looking for. This belief in the SEO world was created around the time when article marketing and article directories were dominating. Have you seen an article from an article directory being ranked highly lately? Not as much as they used to. Your rankings are not determined by how much you update your content, but by how effectively you promote that content. The focus now is on how relevant the information is to the person that’s visiting your site. It’s not about how fresh the content is, but does it help the person visiting the site. Make your content valuable and focus on promoting it. A lot of people tend to spend their time thinking about what they can do to trick search engines into giving their sites higher rankings. It’s better to focus on enhancing the user experience. Relevant high quality content provides search engine users with what they are looking for. The better you get at that the more the search engines will love you. Create original content that enhances the user's experience. This is content that caters to the users' needs and is so good they share it. Only high value content is shared. There was a time when you could create tons of websites that were filled with junk content and get that to rank. I’m afraid that those days are over. It's a lot tougher to get something like this to work these days. The search engines are smarter and they are looking at how your visitors are interacting with your site. Content between 1200 - 1500 words is considered more authoritative. If the content keeps the reader engaged and they end up sharing it, it means the content was relevant to them. Also creating longer more valuable content gives you more opportunities to rank in the search engines. The content must be epic. Think in terms of being the one stop that they for what they’re looking for. Every piece of content that you create must be great. This is achieved by anticipating the needs of your targeted niche. Mobile internet usage is growing at a rapid rate and it’s not going to slow down anytime soon. Mobile internet browsers are what most people use to visit websites. Making your site mobile friendly creates a desirable experience for users. If your site isn’t mobile optimized it makes it harder for users to find what they’re looking for. The modern attention span doesn’t want to search to hard to find what it needs. If it does it causes the user to become frustrated. Optimize your site for mobile users and you’ll avoid frustrating them. The patience and attention span of the modern day internet user is shrinking. Social media provides the distraction that’s causing it to shrink rapidly. Speeding up your website page speed will increase your on-site conversions dramatically. A slow site only serves to frustrate the user. Faster pages makes the user happy. A simple tool such as WP Rocket can do wonders for the loading speed of your pages. Easy navigation will boost user interaction. Easy navigation is achieved by focusing on the structure of your site. A site with a strong architecture will help its rankings. Improving the content on the site and linking to different parts of your site will help with its structure.Once your structure is fixed and your site runs smoothly the authority of your site should increase. If you site appears to be an authority in your niche the search engines will look at it the same way. Quality content is what’s important and definitely the one thing that you must focus on. Your content must be relevant. Choosing important keywords and creating pillar content around them is a critical variable in your site’s success. Pillar content provides tremendous value to the person that is consuming it. Valuable content is the most important part of any successful SEO campaign. If you’ve been able to write and target it well the site engines will pick it up. Anticipating your visitors motives before they reach to your site, and creating content to fill them will give your content more authority. A big factor in determining your SEO success is how much quality content you can create. Every piece of content that you create should be epic to your readers. It should blow your readers away and make them eager to share it. The more they share your content the more backlinks you will get to that piece of content. It makes no sense trying to get a link if it is not relevant to the content you’re sharing on your website. Most of your time is to be spent on creating relevant links. Getting links from relevant niche sites is important. Linking to a site that’s related to your niche will improve your site’s rankings. These links will be very specific. After you have completed this you can begin to focus on more general niche links. It's not hard to see that after mobile Internet browser usage that social media usage is on the rise. Social media is a addictive and there is always a new one appearing. With platforms like Facebook, Twitter, Pinterest and lots of others people are becoming more social online. Creating valuable content means that it has a higher chance of being shared. If your content is being shared you will gather links. Engagement shows the search engine that the content you posted on your site is relevant to the keywords that you’re trying to rank for. Producing high quality shareable content should be your first priority when trying to improve your search engine results. It makes no sense producing dozens on low quality pieces of content that are not being shared. Users are not dumb and they will not share something unless they find it valuable. Be social and learn to content with your target audience. Live in the trenches and find out where they hang out. By understanding them better you will be able to create the type of content that they find share worthy. Create social media accounts for your website and share your content. You never know when one piece of content will go viral. There you have it a few tips to help your improve your SEO efforts. SEO is constantly changing, but there are a few things that will remain the same for a very long time. The tips shared here will help your to create a website that is more user friendly. The search engines all care about delivering the best experience to the people who use them. The algorithm updates only help to remove sites that hinder that from happening. Producing junk is the not the way to move forward. Create the most valuable and relevant content for the people in your niche. Keep your focus on helping people always. Focus on providing only the best content for the person that is searching for it. Think about what they need and give it to them. Blow them away with the usefulness of your site. It's where SEO is moving to, and what the search engines are looking for. Create good content, improve the navigation on your site and create the best user experience and unlock the true potential of your websites rankings. 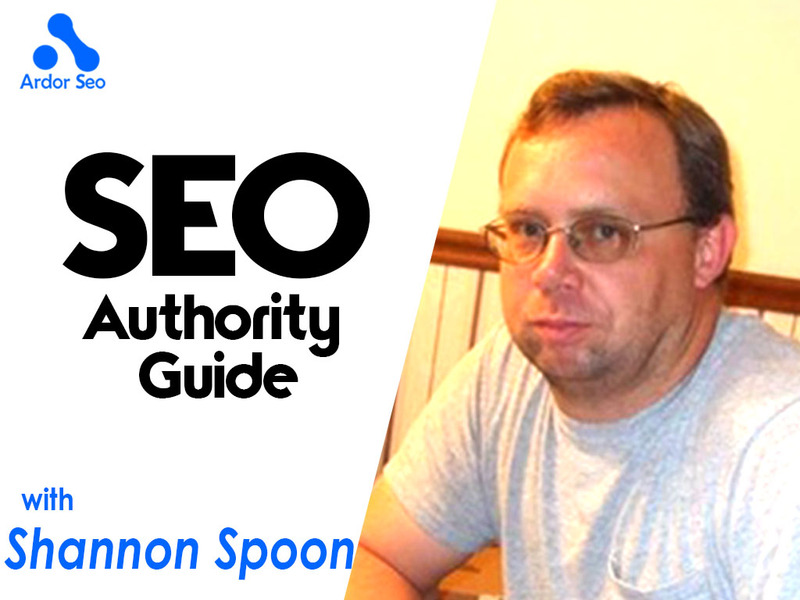 Shannon Spoon is an SEO Consultant who is also a founder of SEO Rank Guarantee. He has been in the SEO field for over 8 years now and has helped thousands of clients improve their search engine rankings and get more customers.